The Super Bass 1987 was released as a high-watt bass counterpart to the iconic 1959 Super Lead. Although intended for the bass, this amp was also used by a number of guitarists who appreciated its somewhat less driven tonal character. Like the Super Lead guitar amp, a major transition point in the progression of the Super Bass came in mid-1969 when the faceplate was changed from plexiglass to brushed aluminum. 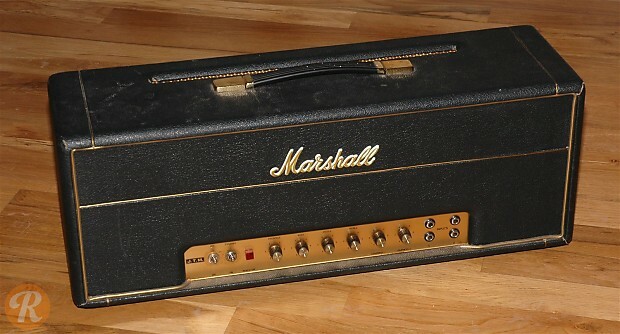 Also in this year, Marshall changed from KT66 to EL34 power tubes. Unique to this Year: Last year with plexiglass faceplate and KT66 power tubes.